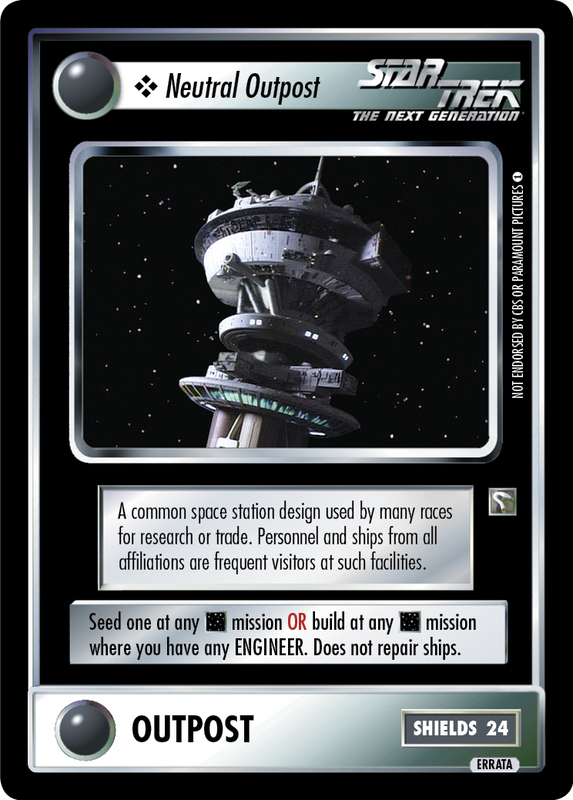 A common space station design used by many races for research or trade. Personnel and ships from all affiliations are frequent visitors at such facilities. Seed one at any mission OR build at any mission where you have any ENGINEER. Does not repair ships. Image Source: The Next Generation: "A Matter of Perspective"